For those following, I’m here to report that my Christmas Procrastination Activities are progressing on schedule. There was one day when it was touch and go when I did some successful online shopping, but, overall, I still have plenty to buy and haven’t yet wrapped a thing. Confession: As I write this, I’m still basking in the afterglow of… yes, fair warning—if you’re not the sentimental type, get out now because I’m about to say—It’s a Wonderful Life. Christmas isn’t like it used to be back when my kids were young and I indulged in traditions like baking cookies, writing out Christmas cards, and prowling toy stores in search of that year’s “gotta-have” gift. I remember the year Furbies came out. Never mind the kids, I wanted one–no, make that two (so they could talk Furbish to each other). U-nye-loo-lay-doo? [Do you want to play?] Now those furry, sorta creepy little robots are back, which proves that, if you live long enough, you get to see just about everything twice. Those days of baking cookies and reading ‘Twas the Night Before Christmas” to eager little ears are gone for now. The day job’s responsibilities weigh heavy, more gift cards than gotta-haves fill our stockings, and the kids have grown up and moved out. The only pitter-patter of little feet I’m likely to hear on this Christmas morning are four each of the canine and feline variety. And that’s okay. It’s how it should be. But not everything has to change. I first stumbled on It’s a Wonderful Life as a kid by flipping through TV channels on a snowy Sunday afternoon. Back then, that’s the way you discovered the old black and white movies—on cable channels on weekends or late at night.It’s a Wonderful Life was my first introduction to Jimmy Stewart and Donna Reed, and I loved it. Loved them. Shed a tear. And then I forgot it. Until I stumbled over it again. Loved it. Sniffled. Forgot it. And so on–from year to year–as I grew up, went to college, moved out, got married … except I stopped simply stumbling over it and started keeping an eye out for it. At some point, it became apparent that I wasn’t the only one who’d developed a fierce affection for this magical Frank Capra holiday film. So now, all these years later, I’m determined to stand firm for this one thing that will not change. It’s a Wonderful Life is my Christmas Gotta-Have. It doesn’t care what house I live in or what I weigh. It doesn’t matter if I’m having a good year or a bad year. It doesn’t grow up, grow old, or move away. George and Mary never look over their shoulders in time to save themselves from dancing off the edge into that pool; Zuzu’s petals always reappear; and Clarence earns his wings. 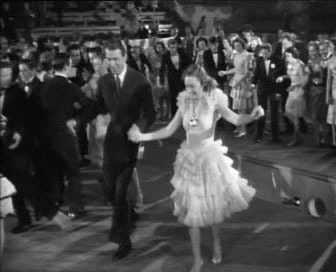 Most of all, it’s this film’s message about the nature of true wealth—whether it’s 1946 or 2013—that remains the same. So, no matter how old this girl gets, this one Christmas Gotta-Have will not change. Don’t have It’s a Wonderful Life on DVD? 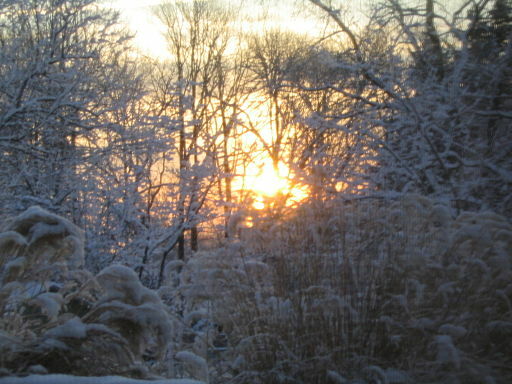 Blessings of the holiday season to you and yours. “What is it you want, Mary? What do you want? You want the moon? Christmas isn’t like it used to be back when my kids were young and I indulged in traditions like baking cookies, writing out stacks of Christmas cards, and prowling toy stores in search of that year’s “gotta-have” gift. I remember the year Furbies came out. Never mind the kids, I wanted one–no, make that two (so they could talk Furbish to each other). U-nye-loo-lay-doo? [Do you want to play?] Now those furry little robots are back, which proves that, if you live long enough, you get to see just about everything twice. Those days of baking cookies and reading ‘Twas the Night Before Christmas to eager little ears are gone for now. The day job’s responsibilities weigh heavy, more gift cards than gotta-haves fill our stockings, and the kids have grown up and moved out. The only pitter-patter of little feet I’m likely to hear on this Christmas morning are four each of the canine and feline variety. And that’s okay. It’s how it should be. But not everything has to change. 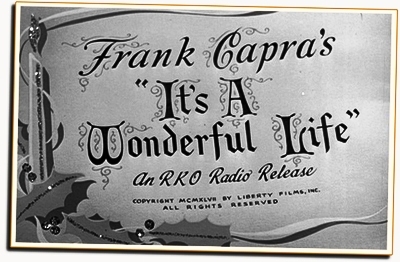 I first stumbled on It’s a Wonderful Life as a kid by flipping through TV channels on a snowy Sunday afternoon. Back then, that’s the way you discovered the old black and white movies—on cable channels on weekends or late at night. 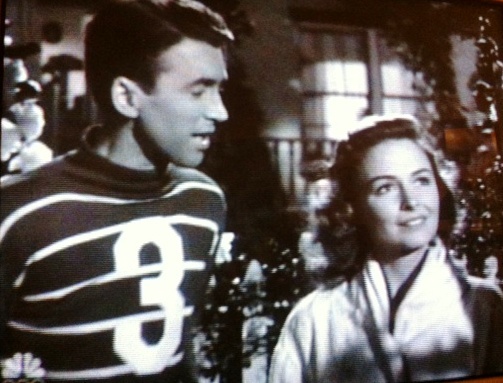 It’s a Wonderful Life was my first introduction to Jimmy Stewart and Donna Reed, and I loved it. Loved them. Shed a tear. And then I forgot it. Most of all, it’s this film’s message about the nature of true wealth—whether it’s 1946 or 2013—that remains the same. So, no matter how old this girl gets, this Christmas Gotta-Have, if nothing else, will not change.